Our fabulous DeKupi’s Appartements can be found right at the heart of the Hot Spot in the Alps and very close to one of the undisputed attractions when it comes to rest and relaxation - the Aqua Dome Spa Center in Längenfeld: well-being and treatments at the highest level for all fans of perfect relaxation. 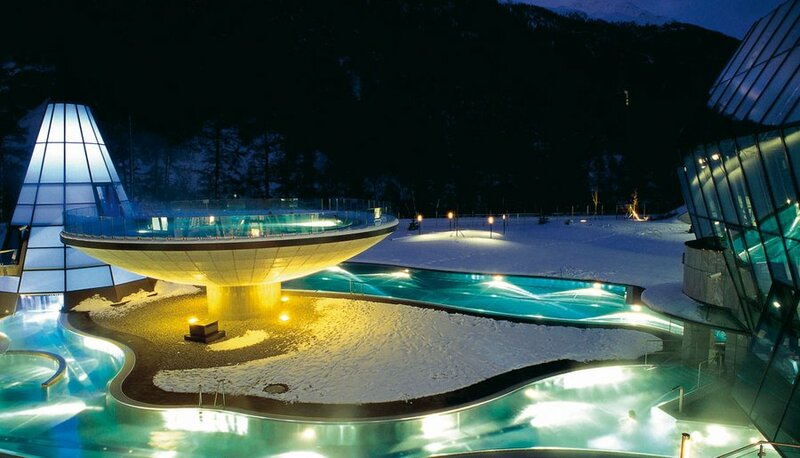 The spa world covers incredible 2200 m², comprising hot springs, relaxation areas, play lawn, sports area and healing thermal baths. The truly outstanding architecture of the whole complex is in perfect tune with the surrounding nature landscapes. Unrivaled rest and relaxation are guaranteed. 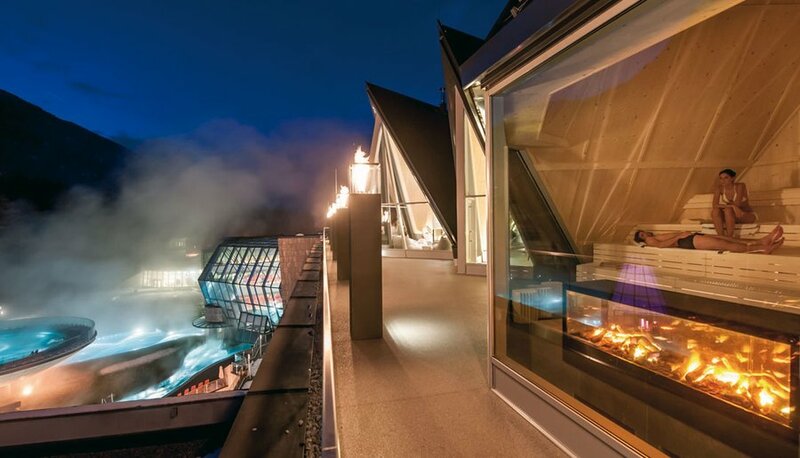 A giant waterfall, two indoor swimming pools, wonderful relaxation rooms and fantastic views of the Alpine scenery through the huge glass facades rank among the very special attractions. The Aqua Dome Spa Center also features a great outdoor spa with three pools on stilts in futurist design: enjoy this feeling of weightlessness while floating in the thermal water. Families and children have their own water world incl. two large pools, a 90 meter long water slide and truly inspiring play areas. 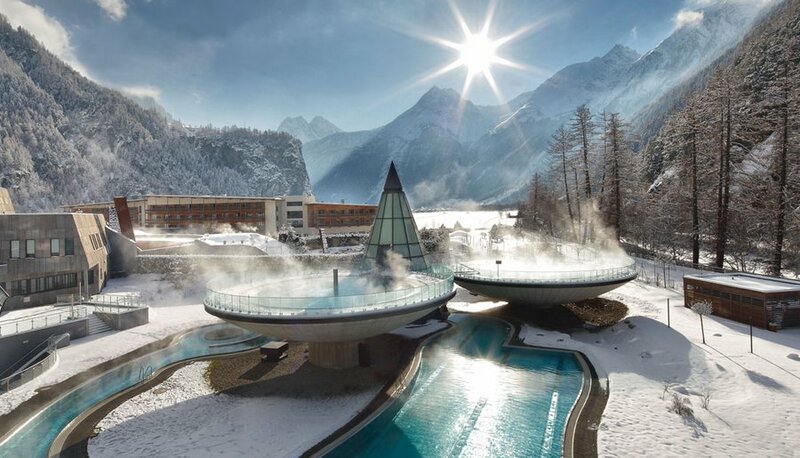 The marvelous Aqua Dome sauna parlor is called "Gletscherglühen" which means "glowing glacier": a huge choice of sauna rooms and steam baths offers everything your heart could possibly desire. 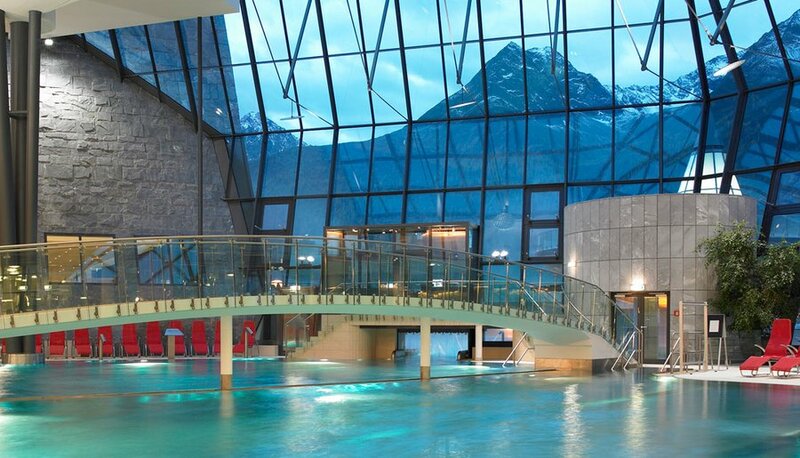 In addition to the really hot moments, you can enjoy Kneipp pools to boost your circulation. Rest areas, waterbeds, relaxation loungers, manifold beauty and wellness treatments are available throughout the day.